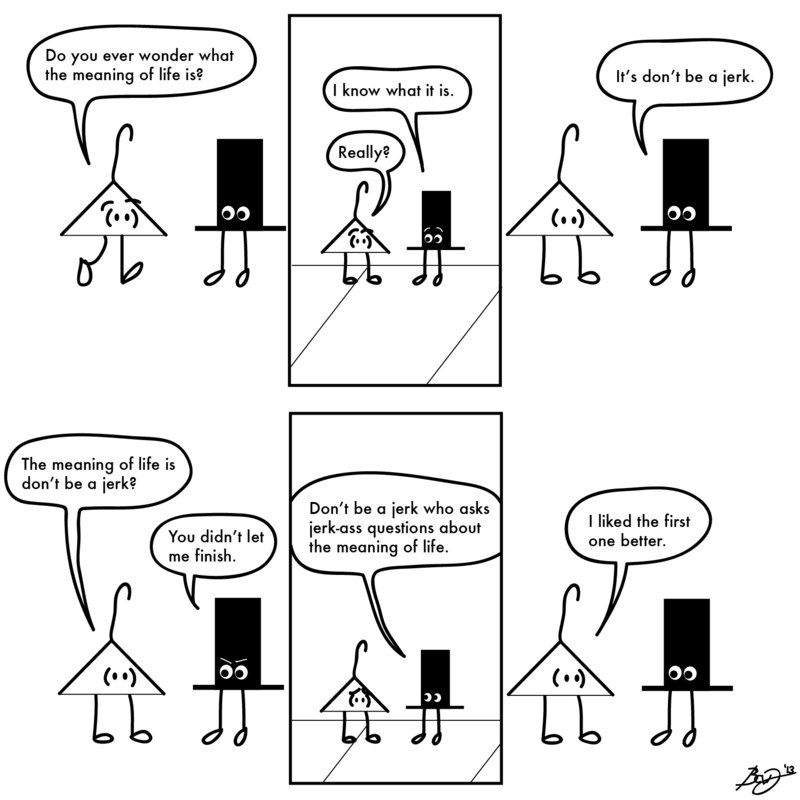 Image | This entry was posted in Uncategorized and tagged cartoon, cartoons, coat hangers, comic, comics, meaning of life, philosophy, webcomic, webcomics. Bookmark the permalink. Haha. That’s definitely the best answer.